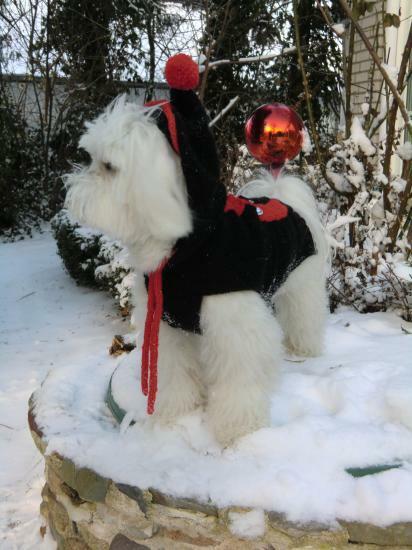 Avec Benny le Bichon, découvrons les joies de la neige avec notre nouveau modèle "Gstaad" (avec capuche !). Confort garanti meme par grand froid ! 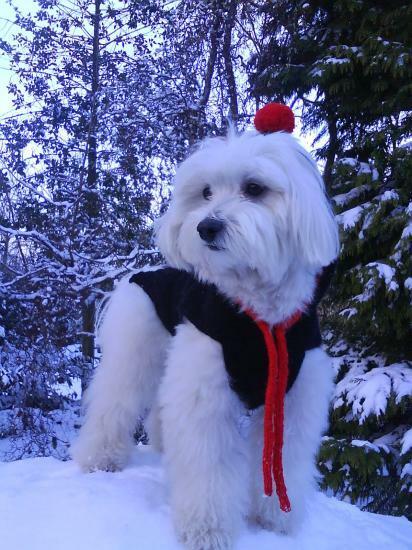 Benny the Bichon wears our new "Gstaad" winter style (with hood !). Perfect fit and comfort under any weather ! 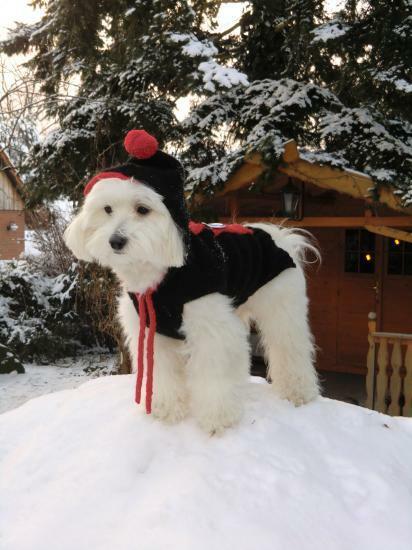 Benny der Bichon trägt unser neues Wintermodell "Gstaad" (mit Kapuze). 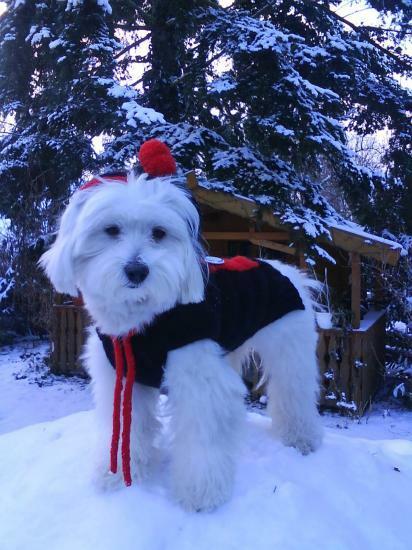 Allwetterkomfort und Eleganz !